Cambuslang Harriers reinforced their position as one of the leading distance clubs in Scotland across the different junior/senior and masters age groups when they collected 1 team gold, 2 silver and 1 bronze medal in the Scottish Road Relay Championships at Livingston while under 20 athlete Eve Mackinnon was a member of the Edinburgh University team which won team silver in the ladies event. The men had a hard act to follow having last year won a unique treble in the senior and masters’ races over 40 and 50. In spite of tremendous team efforts all round the club narrowly failed to match last year’s achievements. The O50 quartet decisively retained their team title, by over 8 minutes from Metro Aberdeen and Calderglen Harriers, having led from gun to tape thanks to Alick Walkinshaw, Peter Fleming, Colin Feechan and Stan MacKenzie. 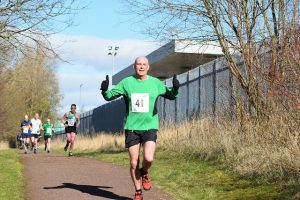 Both Alick and Colin recorded the 2 fastest short 5K leg times of the day in their age category, not counting the evergreen Bobby Quinn of Kilbarchan who was not in a M50 team, while Peter and Stan were second and third fastest on the 5.8 miles long leg. It was great to see former 2.13 marathon runner Peter back on holiday in Scotland from his home in Colorado USA wearing the red and white vest. There was to be a dramatic twist in the tail for the junior/senior men on the penultimate leg. 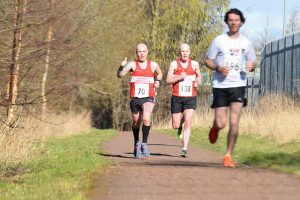 Club captain Iain Reid put the club into a strong 4th position on the opening 5K leg which set Stuart Gibson up nicely to storm through the field to first place in a personal best and 4th fastest of the day for this long stage. Pole position was maintained over legs 3 and 4 by Al Campbell and O40 runner Robert Gilroy while Central AC and Corstorphine AC worked together to close the gap. U20 Craig Jardine took off 20 seconds ahead of Central with Corstorphine another 4 seconds adrift. Craig was running strongly when he mistakenly took the turning for the long leg instead of veering to the left for the shorter route. While it is the runners’ responsibility to follow the correct course there was some confusion at this junction where a number of people had gathered and which may have distracted the steward from spotting the red short leg number he was wearing and directing him onto the correct route. By the time Craig realised his error and returned to the course proper the 2 previously pursuing runners were now well clear of him. 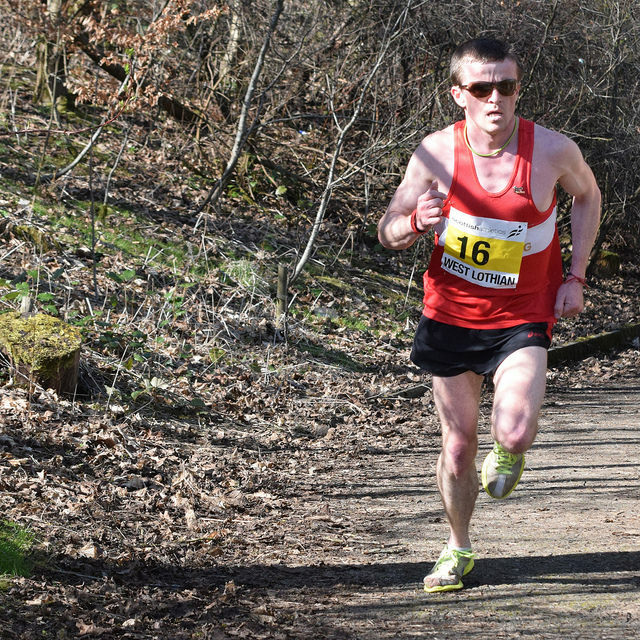 In spite of being gutted Craig rallied and worked hard over the remaining distance to pass his Corstorphine rival. 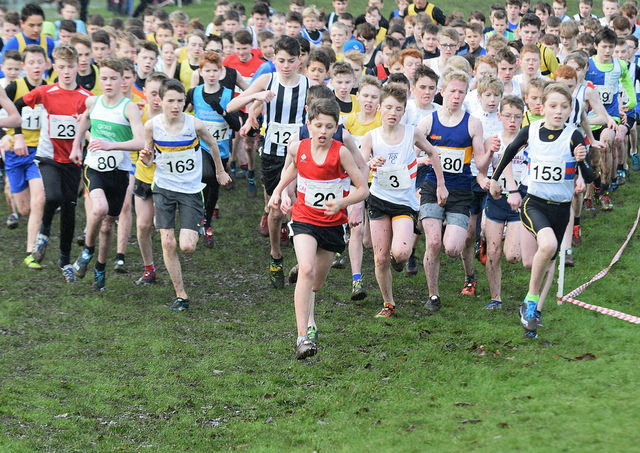 However, Central, the Scottish Cross Country Champions, now had a commanding lead. 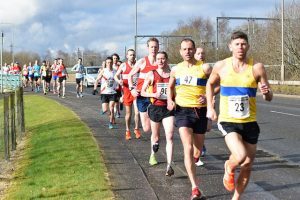 In spite of Ryan Thomson recording the 2nd fastest time on the final leg which saw Cambuslang pull away further from Corstorphine Central stretched their lead to take team gold. Nevertheless, our runners can all take credit for putting in a strong defence of their title. 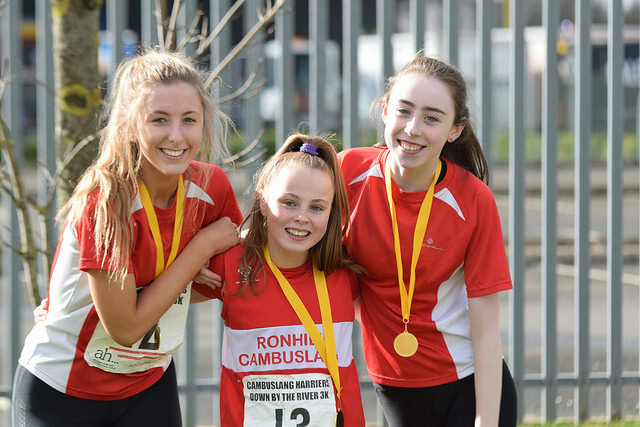 Cambuslang can also be pleased with the efforts of the B team runners who had the double satisfaction of finishing a very creditable 7th and first B team. U20 Scott Sommerville, Gordon Robertson, U20 Jack MacGregor, Ben Hukins, Ritchie Carr and Colin Reilly combined well to achieve this feat. Jack had the misfortune while on leg 3 to be deliberately tripped up as well as being verbally challenged by a local resident which resulted in a heavy fall and required his cuts to be cleaned by the first aiders at the finish. There was a mishap also for another U20 athlete Paul Morrison who fell in the opening 400 metres. In spite of hurting his elbow which later turned out to be fractured he picked himself up and came strongly through the field to finish in a worthy 12th place. Paul in finishing, although in discomfort, allowed the C team of Simon Gold, Scott Hunter, Mick O’Hagan and Dan O’Connell to continue the teams’ efforts. David Stirling and Shaz Hakeem ran legs 1 and 2 for the D team. 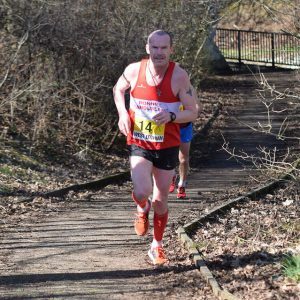 It was always going to be difficult for the M40 men to retain their title as leading M40 Robert Gilroy was representing the junior/senior team and last year’s 1st and 2nd M40 in the Scottish Cross Country Championships Kenny Campbell and Jamie Reid were also missing through injury. 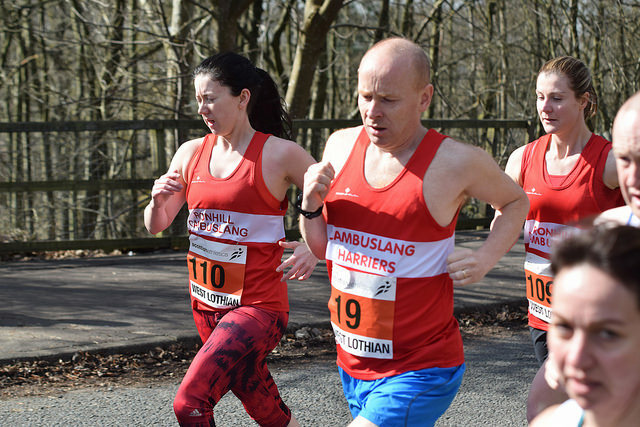 However, the Cambuslang runners were not going to give up their title without a fight. After the first 3 legs from Paul Kernohan, Justin Carter and Michael Barker the club was in 4th spot with Kerry-Liam Wilson moving up to a close 2nd behind Corstorphine AC on stage 4 with the fastest M40 time of the day, not counting Robert who was in the senior team. Brian Douglas overhauled his Edinburgh rival to hand over a lead to Frank McGowan. Misfortune befell the club again when Frank was about to line up he badly went over on his ankle when stepping off the kerb. However, there was no thought of him not starting. 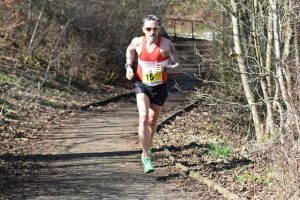 Driven by adrenalin he set off on the difficult task in normal circumstances of trying to hold off the challenge of Corstorphine’s Keith Hood, a former Masters Scottish Cross Country Champion. 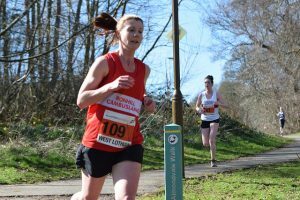 The Corstorphine runner gradually reeled the Cambuslang man in and opened up a secure gap to give the East of Scotland club victory with Frank a safe runner up ahead of Kirkintilloch Olympians. Corstorphine who in the 2 previous Scottish masters championships this season had been runners up to ourselves deserve credit for turning the tables on this occasion. As soon as Frank crossed the line the extent of his ankle injury became apparent as he was unable to put the injured foot to the ground and had to hobble back with support to where his gear was. If it had been an individual race he would not have started but in the words of a well known phrase he was prepared to take one for the team. Post race another Cambuslang athlete was compelled to utilise the services of the attendant first aiders. Perhaps the icing on the cake for the club was the bronze medal won by our masters F40 quartet of Claire Mennie, Bernie O’Neil, Erica Christie and Jennifer Reid. All 4 combined well to finish a creditable 3rd behind Edinburgh AC and PH Racing Club but ahead of defending champions Gala Harriers. While the club has previously won female Scottish team medals at U17 and U20 level this was the first time that a senior or master ladies team had done so. Congratulations to the ladies on a job well done. Newcomers to the club Paula MCCabe and Lesley McArdle who have come from a parkrun background sampled this event for the first time and performed well. They will benefit from this experience. 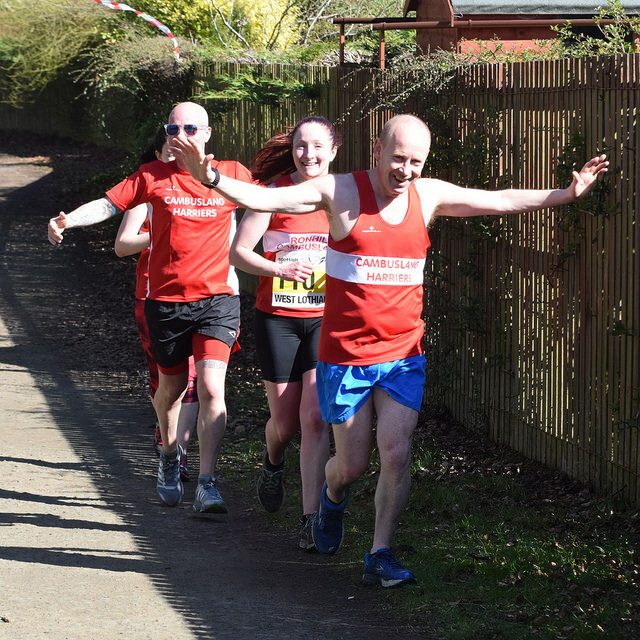 Once again the club was well supported by our coaches, officials, friends and of course our ubiquitous photographer Colin Stephen who never fails to capture the agony and ecstasy of our runners. It was good to see longstanding coach Owen Reid who is recovering well from his heart attack there and also former club president Des Yuill. Special thanks are due to John McCluskey who volunteered to steward again for this event without any prompting. 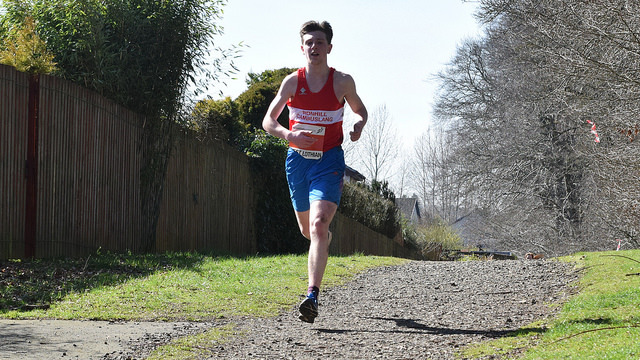 One U20 athlete missing from the event was Gavin Smith who represented the Scottish Schools the previous day in the Home Counties Event in which he was the 2nd Scottish Schools’ counter. 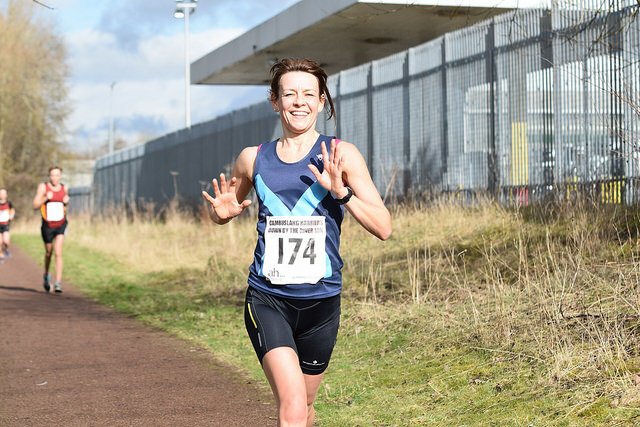 Also missing for good reasons were Kirsty Anderson, now O’Brien, and Johnny MacNamara who were contesting the Scottish Duathlon Championships also held on the Sunday. Kirsty won double bronze medals both in the open category and in her age category while Johnny MacNamara took silver in the O40 category. 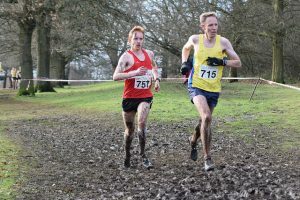 The club’s weekend success follows closely on from M60 Paul Thompson winning an individual gold medal for the half marathon in the World’s Master Championships in South Korea along with silver medals in the cross country and 3K events while Lynn Marr took a team gold medal and team bronze in the ladies cross country and 4 x 200 metres relay. Since turning 60 Paul is now a proud European and World Champion. What an outstanding achievement for him and the club! Finally last week the club again won the Cambuslang and Rutherglen District U18 and O18 team awards. 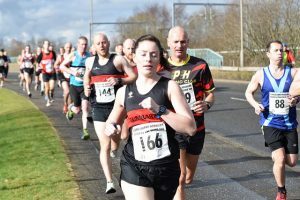 Cambuslang Harriers annual road races attracted an excellent turn out with the 10K event in particular attracting a record entry of 350 runners. 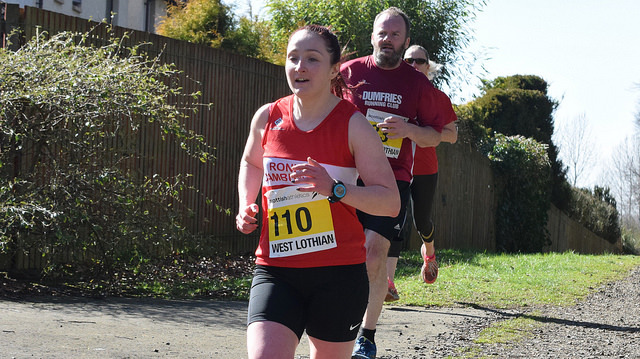 The continued generous sponsorship for the 10K race provided by the Glasgow running shop Achilles Heel and local Hygiene Services Company Macdet is greatly appreciated by the club as is the 3K sponsorship from club member Barnie Gough of BG Fencing. The 10K race saw an initial competitive tussle between the Cambuslang duo of Ryan Thomson and defending champion Robert Gilroy and the Shettleston pair of Paul Sorrie and Daniel Bradford. 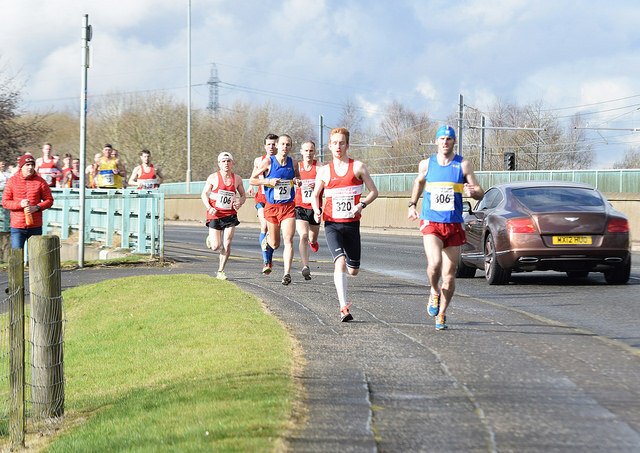 However, the two Cambuslang runners opened up a decisive gap over their local rivals in spite of a heavy fall by Ryan. The outcome of the race was only decided in the uphill sprint to the finishing line with Ryan holding off Robert to claim victory by 3 seconds in a time off 31 minutes and 37 seconds. 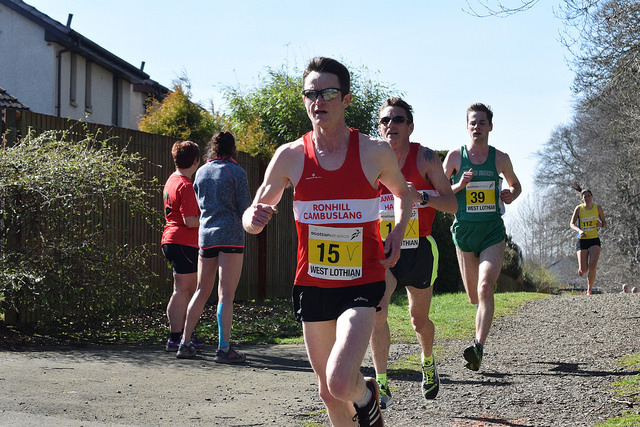 The Shettleston runners held 3rd and 4th places before a quintet of the home club runners crossed the line in quick succession – Ben Hukins, Iain Reid, Gordon Robertson, Colin Reilly and Ritchie Carr. 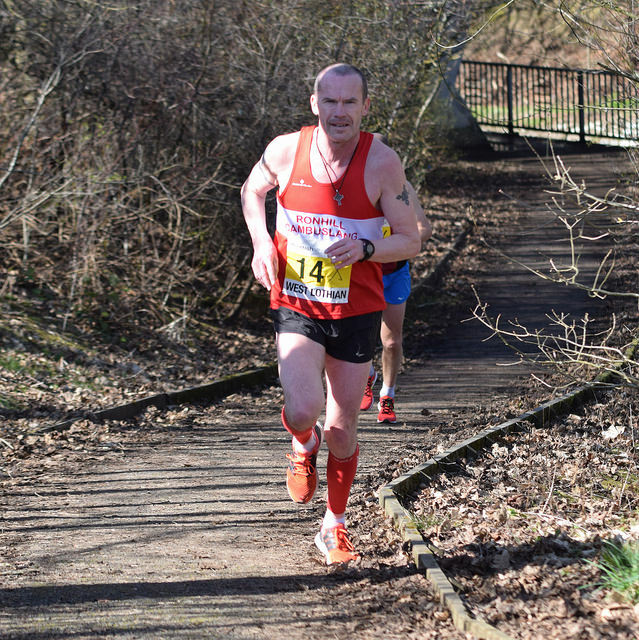 Ben sealed the men's team race for Cambuslang while Colin and Ritchie smashed their previous best times. There was further success for the club with Jack MacGregor picking up the first under 20 award while over 40 masters Brian Douglas and Johnny Macnamara were third and fourth in that age group with Alick Walkinshaw second M50. 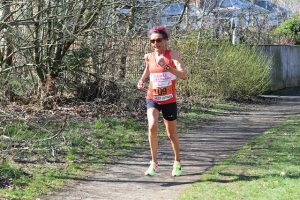 The ladies played their part too with Bernie O'Neil and Erica Christie being first in the over 40 and 60 female categories. 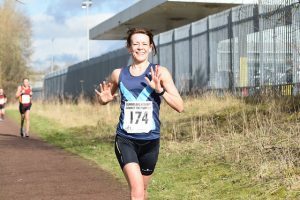 Lesley McArdle was the 3rd counter for the ladies team who finished 3rd behind convincing winners Dumbarton AC and Fife club PH Racing club who provided the leading lady Karen Kennedy. Both Karen and Ryan were awarded the Jimmy Sands Memorial Shield for their respective victories. The club was well represented with 24 male finishers and 6 female finishers. 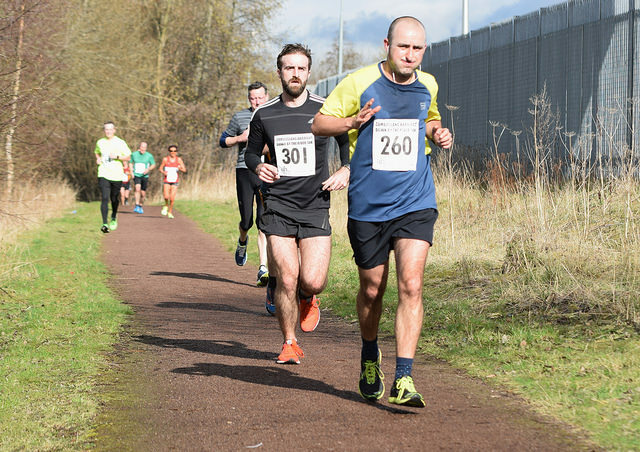 Cambuslang runners were also to the fore in the 3K race. 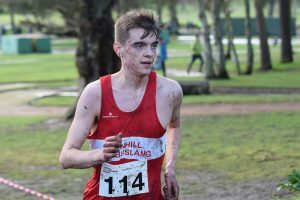 U15 athletes Brodie Aitken, a silver team medallist at the recent Scottish Cross Country Championships, and Sean Friel occupied the first 2 male positions. However, the girls went one better by providing the first three female finishers thanks to the U13 pair of Niamh Riggins and Millie Nicholl and U15 athlete Holly Brock. 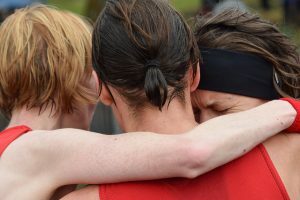 The club would like to thank the many members, parents and supporters who willingly gave up their time to ensure that the event could take place and to all the athletes who competed. Amended results now attached, sorry about the slight hiccup, hopefully results are now correct. 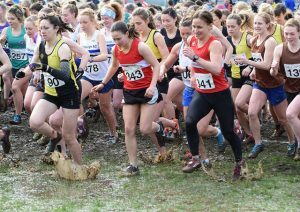 Many thanks for a great turnout for todays races, and the positive feedback, a lot of happy faces out there today throughout the field, we hope that you enjoyed the event, well done everyone. Here are the provisional results so that you can at least check your own time, sorry that it's taken a bit longer than usual. We need your feedback as we know we need to amend a few times/positions, if you spot an error please let us know and we will correct this as soon as we can. Hopefully we will see you all next year. 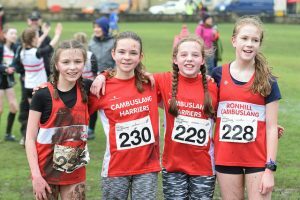 Cambuslang Harriers were well represented at Callendar Park Falkirk on Saturday at the Scottish Cross Country Championships. 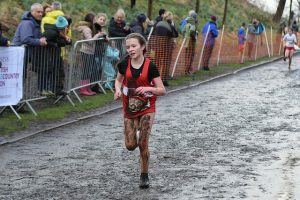 The conditions facing the athletes were very testing with the existing muddy conditions becoming even muddier as the various age group races progressed. Pride of place goes to the Cambuslang male athletes across the 5 different age groups – U13/15/17/20 and seniors. Points are awarded to a club's team in each age group and the club with the lowest overall score is awarded the AT Mays Trophy. The club was delighted to retain the trophy for the 6th consecutive year and indeed Cambuslang has the proud record of winning this trophy for the best male cross country club in Scotland on 22 of the possible 29 occasions. This is an incredible achievement and a huge vote of thanks is due to the athletes, club coaches, officials and parent volunteers. 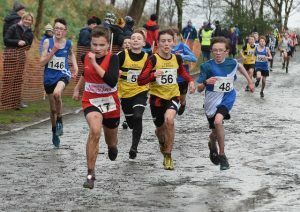 The U13 male team of Fearghus MacGregor, Robbie Woods, Stewart Millard and Mark Cassidy finished 12th team in the opening race. Christopher McLew in finishing a superb 2nd with Ruairidh MacGregor an excellent 8th led Brodie Aitken and Keir Crawford to U15 team silver. With the leader from Giffnock North taking the lead from the start Christopher ran a clever tactical race to run with the chasing pack before unleashing a fierce fast finish to clinch 2nd place. The U17 quartet of Drew Pollock, Eamon Carr, Ryan Stephen and Andrew Carey took 5th place. Struan Paton was unfortunate to take unwell in the second half of the race while jostling for 5th position and was forced to drop out. The U20 squad of Craig Jardine, Gavin Smith, Scott Sommerville and Scott McKay picked up another team silver award for the club. Craig spearheaded the team well to take 6th spot and was only 14 seconds away from winning the bronze medal. The senior men rounded off the day nicely with team bronze thanks to first year senior Ryan Thomson who was 15th from 647 finishers, club captain Iain Reid, veteran runner Robert Gilroy, Stuart Gibson, and the two Campbells, Alasdair and Alistair. Spare a thought for the unlucky Stan MacKenzie whose race ended in the opening seconds of the race when he was accidentally tripped and spiked in the mad scramble at the start. 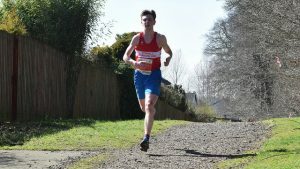 There was an encouraging performance from Willie Macrury who just missed out on a team medal in his first race since November due to injury. Colin Reilly in his first season with the club confirmed his potential in finishing in 70th position followed closely by Ritchie Carr and Kyle McLellan. It was good to see Kyle turning out for the club as his training and racing have been heavily curtailed while he has been pursuing his junior doctor career in Dundee. Hopefully when he comes to Glasgow in August to take up a 4 year GP training course Kyle will be able to train with the club athletes and compete more regularly. 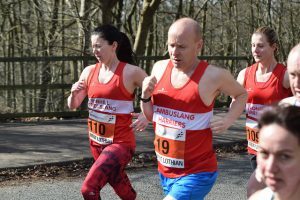 Master O40 runner Johny MacNamara in 85th spot showed a welcome return to form having been concentrating on the Iron Man event for the last few seasons. 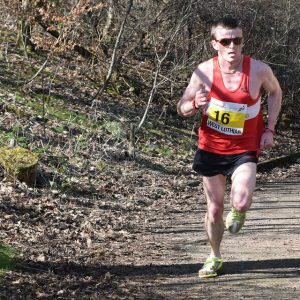 Ben Hukins was our 12th and final runner to be inside the top 100 with Justin Carter narrowly missing out in 104th place. In spite of a number of call offs due to injury and illness 27 runners from the club finished. There were also some good performances by the club’s female athletes. 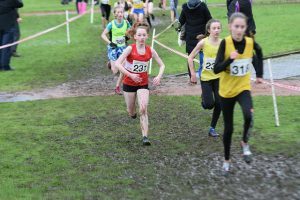 Niamh Riggins in a very creditable 20th place out of 140 finishers with support from Millie Nicholl, Shona Carey and Eilidh Kennedy were 10th U13 team while the U15 team of Christie Dalgleish, Chloe Burton, Kelly McCutcheon and Carla Fay were 13th. U20 Eve Mackinnon was a solid 6th in her race. The senior ladies turned in the club’s best female team performance of the day to gain 9th place. Alex Lamond in 54th spot out of 269 finishers was followed home in quick succession by Kirsty O’Brien, Bernie O’Neil and Jennifer Reid, all of whom made the top 100. 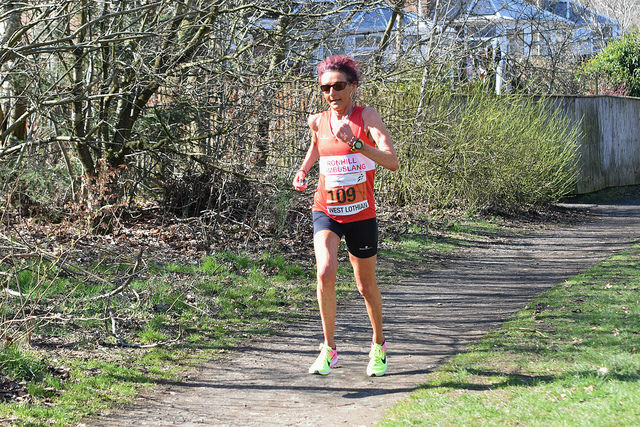 The first master lady over 60 Erica Christie who was just outside the top 100 and newcomer Lesley McArdle in 140th position were our other 2 finishers. Like Colin Reilly in the men’s race Lesley was an unattached runner who only joined Cambuslang after running in the club’s annual 10K race last March. Both have shown how progress can be made through a conscientious attitude to training and consistent training with a group. 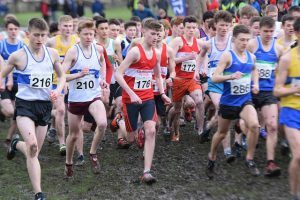 The club would like to thank the efforts of our athletes, coaches, officials and parent helpers who all played their part in making it a successful day yet again for Cambuslang Harriers at the Scottish Cross Country Championships. Unfortunately 2 of the longstanding club coaches were not able to be present to witness and support the club athletes with Owen Reid in hospital and Robert Anderson in Australia. Everyone at the club wishes Owen well in his recovery. The efforts of Barnie Gough and Stuart Miller in setting up the 2 club tents on such a windy and wet day were well appreciated. 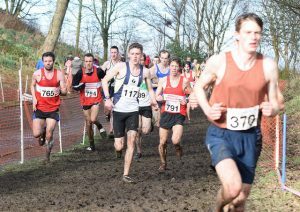 As usual Colin Stephen was there to vividly capture on camera the joy and agony of our athletes either gliding over or ploughing through the mud. 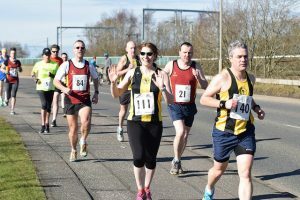 The 10k will start at 11am prompt, and, as the clubhouse is a 1 mile jog from the start/finish please arrive in plenty of time to pick up your number, and to make your way to the start. Please note, the registration desk will close at 10:15! 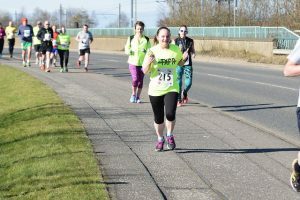 Some club members, who are also taking part in the race, will be acting as guides to the start for those who do not know the area, more information will be posted in the clubhouse on Sunday. Parking; please be aware that there is *no parking at the start/finish*, and there is no parking on the BOC service road that runs parallel to Bogleshole Rd. 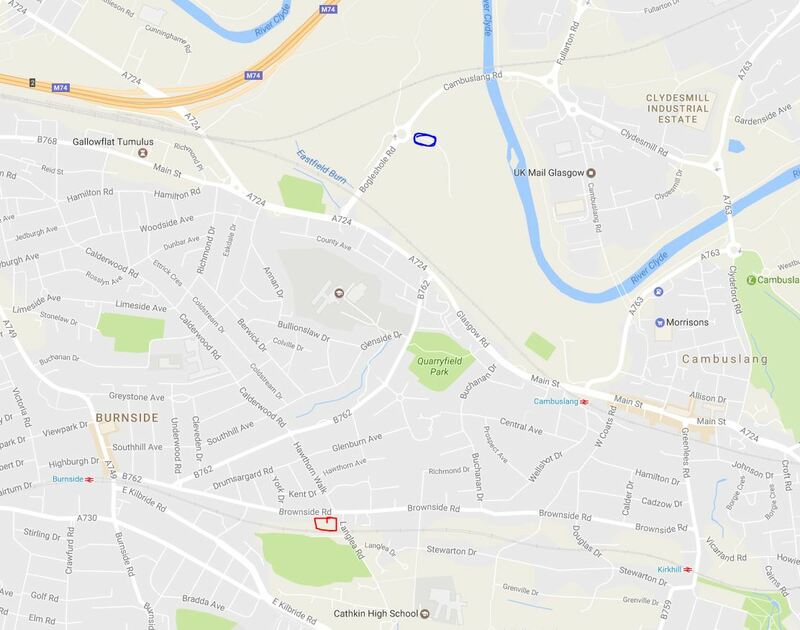 If you must take your car down, please only park on Clydesmill Road and Clydesmill Drive, in the industrial estate (and not on Cambuslang Rd as this is part of the course, see the start-clubhouse map below). 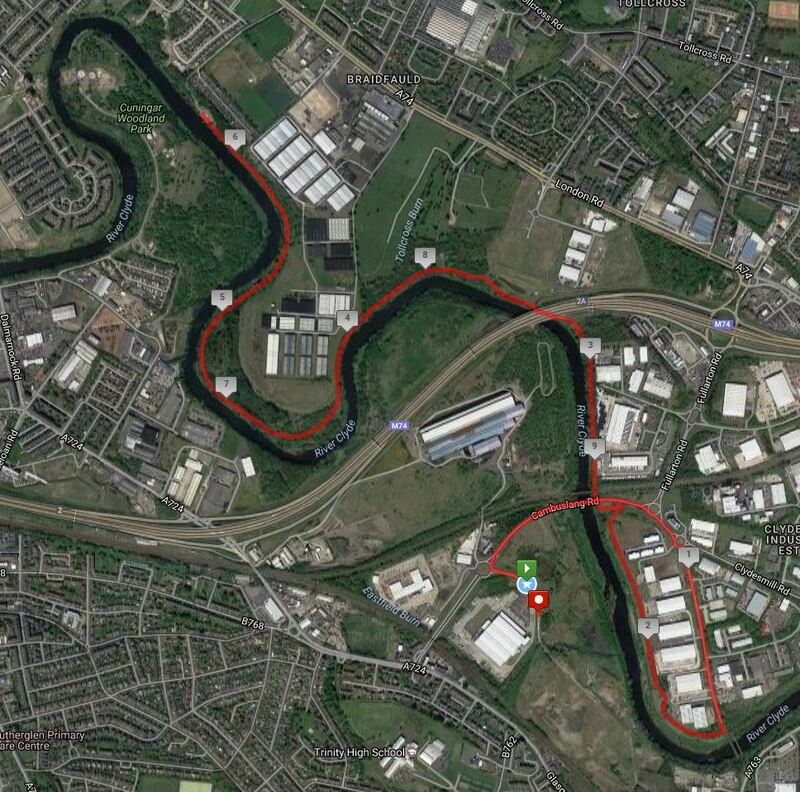 Although the majority of the race is on the Clyde Walkway the first and last sections are on pavement alongside a potentially busy road so please take extra care at the start and the finish. Water and bananas will be available at the finish. If the clubhouse car park is busy there is additional parking at Cathkin High School 400m further along Langlea rd, off the roundabout.